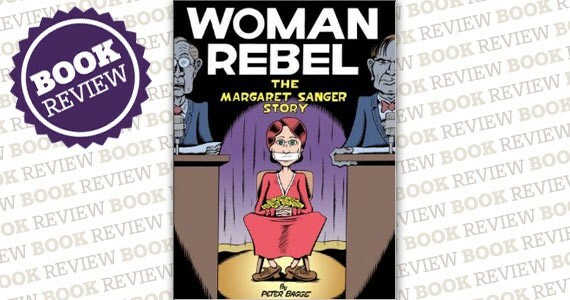 Woman Rebel is a comic book biography of Margaret Sanger, turn-of-the century birth control proponent and woman's right trailblazer. A large part of the book's charm comes from the cartoonish art style: It looks like a Little Lulu strip, if Lulu grew up and traded in pranks for activism. The book is an interesting look at the early days of modern birth control (Sanger's tireless efforts lead to the creation of Planned Parenthood and funded research into oral contraceptives). The problem is that Sanger's life is almost too interesting and bursting with events, a problem that the book's creator, Peter Bagge, bemoans in the afterward. Exciting events flit by, making the comic feel more like a collection of panels rather than a flowing story. Still, the frantic pace makes you feel for Sanger, who spent most of her life as both a fugitive and an in demand public speaker.